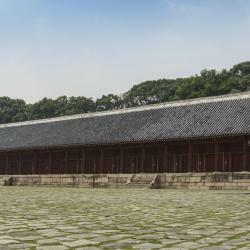 Looking for hotels in Insa-dong? 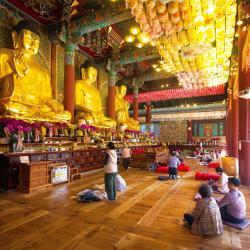 Grid Inn Hotel is located in Seoul, 600 metres from Jongmyo Shrine. Guests can enjoy the on-site restaurant. Free WiFi is available throughout the entire property. Lovely oweners and staff!! Always helpful and doing the extra mile to make your stay better (for example we left our bags while going out of town for 1 night and upon return they were already taken to our new room). Simple but excellent breakfast included. Free water bottles and free usage of laundry machine. The room was very clean. Small (like most in Seoul) but very comfortable. Excellent shower. We were in 3 types of rooms including the economy and they were all very good (ask for a room with a view to n seoul tower). Location might be tricky to find but it's right in the center without being too noisy. 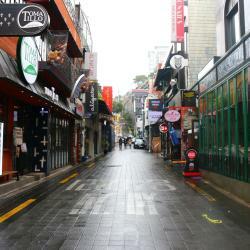 Located in Seoul, 500 metres from Jongmyo Shrine, Makers Hotel offers rooms with air conditioning and free WiFi. Hotel was next to the metro station, staff was really friendly and helpful, breakfast was really well priced (around 6.000). Room was nice and the ambiance of the hotel was really good. Featuring spacious rooms with neutral colours and free WiFi access, Sunbee Hotel is located just a 5-minute walk from Jonggak Subway Station (Line 1). The room was BIG. A big bathroom separated from the toilet. A room with desk, TV, armchair, closet and still space to open a couple of suitcases without being afraid of stumbling. 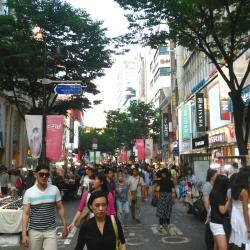 Very central to the areas we wanted to visit, Insadong, palaces, markets. And perfect English speaking receptionists. 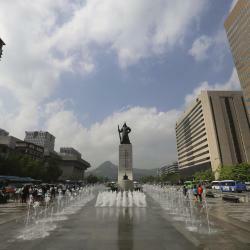 Overlooking the charming Cheonggyecheon Stream, Hotel Venue-G is located on the south-eastern corner of Supyo Bridge. Nice and clean hotel, everything ok.
ibis Ambassador Insadong is conveniently located a 4-minute walk from Jongno 3-ga Subway Station (Line 1, 3 and 5). It houses a relaxation area with a sauna and a public bath. The hotel staff is very kind, the room is clean and the sound is very good, there are two layers of airtight windows. The location of the subway is really close, there are also places to eat in the evening, there are convenience stores nearby. Very convenient. It is a place worth recommending! 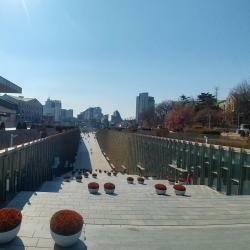 Hotel Nafore is located in the palace quarter of Seoul, a 5-minute walk from Exit 14 of Jongno 3-ga Subway Station (Line 1 and 3) and Exit 4 of Euljiro 3-ga Subway Station (Line 3). Very clean! Service staff was great, we really enjoyed our stay. Would recommend to families traveling especially. A 2-minute walk from Jongno 3-Ga Station (Subway line 1 and 3), GS Hotel Jongno offers modern yet cosy rooms with free Wi-Fi. It serves breakfast daily and has a 24-hour reception. My best hotel pick in Korea. Extremely calm but super close to the metro station. Operating a 24-hour front desk, Hotel Icon is situated a 5-minute walk from Changdeokgung Palace and a 9-minute walk from Anguk Subway Station and Jongno 3-ga Station (Line 1 and 3). Reception staff were very helpful and accommodating,I felt very welcome and comfortable. 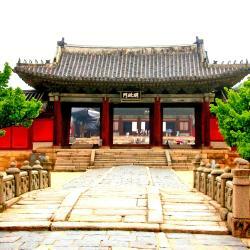 Grim is set in Seoul, 500 metres from Jongmyo Shrine, and provides free WiFi. 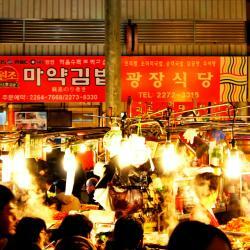 Placed in the heart of the city, Noble Hotel is set just a 5-minute walk to Anguk Subway Station. It offers well-furnished rooms with free Wi-Fi access at all areas of the hotel. Everything! Good location also for the airport transfer and visiting the main attractions! Just 350 metres from Jongno 3-Ga Subway Station, Amare Hotel offers spacious and luxurious rooms with spa bathtubs, 2 PCs with free internet and a flat-screen TV with cable channels. Amazing wonderful hotel location great loved the area. 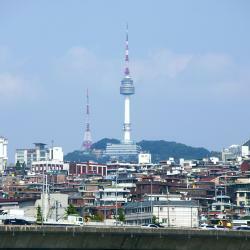 Situated in Seoul, 400 metres from Jongmyo Shrine, Seoul Jongno Hotel has rooms with free WiFi access. The property is set 1.3 km from Gwangjang Market. Clean and kind staff. Especially, Mr.Lee is very good! Thank you, Mr.Lee!!! Hotel Gaon Jongno is next to Insadong cultural street, famous for its antiques and local artworks, and a 5-minute walk from Exit 3 of Jonggak Subway Station (Line 1). Friendly staff, comfortable room. It was a very enjoyable stay! 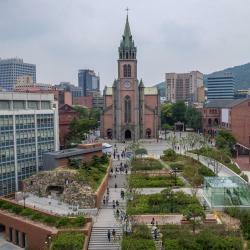 Offering free WiFi and a shared lounge, Hotel Sleepy Panda Streamwalk Seoul Jongno offers accommodation in Seoul, 800 metres from Myeongdong Cathedral. The place was really clean and comfortable.